Last week at the Native American Fish and Wildlife Society's Great Lakes Region conference, 1854's Environmental Biologist, Darren Vogt, was awarded as the Biologist of the Year! Shakopee Mdwekanton hosted tribal natural resource management folks from Michigan, Wisconsin and Minnesota at Mystic Lake Resort and Casino. Participants listened to updates on funding sources, participated in a USDA wildlife trapping training, competed in a shoot, networked, and attended presentations on wildlife, fisheries, education and environmental projects. Congratulations Darren, and great job to all who coordinated, learned something new and shared their knowledge. 1854 Treaty Authority's Dagwaagin (fall) newsletter features an article on the final settlement reached at the St. Louis River Interlake Duluth Tar site, and the 2017 Moose Hunt announcement. Don't miss our seasonal update and reminders - we want everyone to be safe and informed while out harvesting this season! Check out what we've been up to throughout our busy summer, and stick the last page of the newsletter on your refrigerator - it has the 1854 Ceded Territory 2017 Hunting and Trapping Season dates. 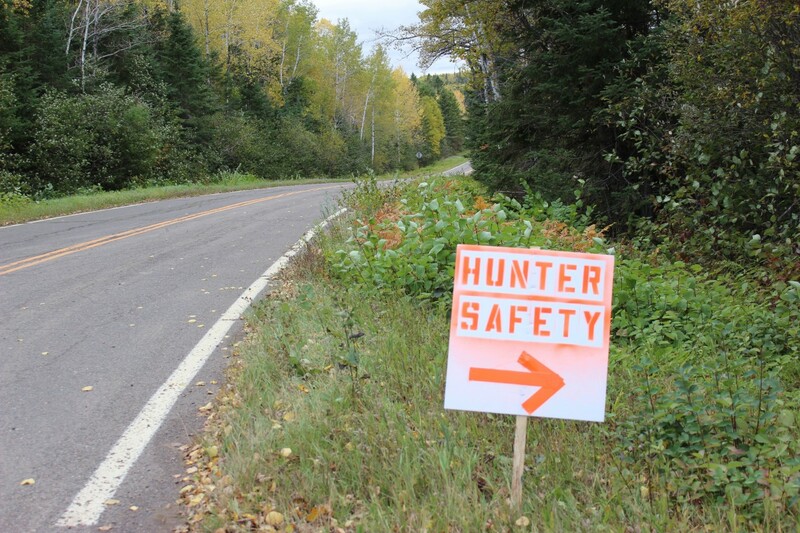 Get signed up for Firearm Safety/Hunter Education certification training if you haven't yet. And as always, if you have any questions don't hesitate to give us a call. 1854 hosts MANOOMIN CAMP with FDL's 13 Moons program, to take place Saturday August 26th from 9am-3pm at Leeman Lake, also known as Ricehaven. This is an opportunity to try your hand at harvesting and finishing rice. There is no need to bring any equipment (although you can if you want), with the exception of a ricing permit or an 1854 ID (daily MN State permits are available). Short, themed discussions throughout the day will covers topics such as management, nutrition, treaty rights, safety/regs, and ecology. **If you plan to stay all day, BYOL (Bring Your Own Lunch). 1854 will be hosting a 4-part archery program in Grand Portage, starting August 17th! Anyone is welcome to join in the fun, but participants must be at least 10 years old, and everyone must have a signed authorization/release (permission) form - you can download it here, or pick one up when you join us. Read the informational letter, and check out the program flyer below for more information. Natural resource trustees announced an $8.2 million settlement with XIK, LLC, Honeywell International, Inc., and Domtar, Inc. to resolve a claim for natural resource damages at the St. Louis River / Interlake / Duluth Tar (SLRIDT) site. The 1854 Treaty Authority, on behalf of the Bois Forte Band of Chippewa and the Grand Portage Band of Lake Superior Chippewa, has been involved with the process with the interest of restoring natural and cultural resources in the St. Louis River estuary. Read the press release from the Department of Justice. Please help us connect kids with this great opportunity! NAFWS has opened registration for their Youth Practicum (link below). 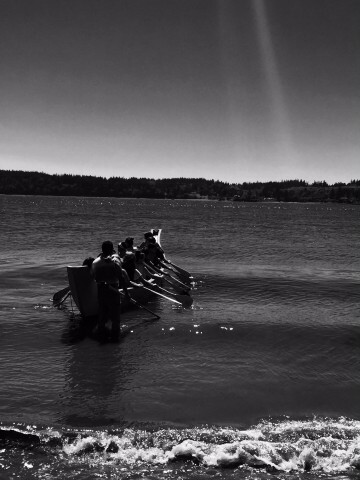 The program targets tribal youth, entering10-12 grade. This FULLY PAID, week long trip engages students in natural resource management career opportunities, and this year the Mississippi Choctaw are hosting. Lets get some representation from the Great Lakes Region! The Native American Fish & Wildlife Society is proud to sponsor its 26th annual National Summer Youth Practicum hosted by the Mississippi Band of Choctaw Indians scheduled for July 24, 2017 to July 28, 2017 in Choctaw, MS. The Practicum is designed to provide Native American high school students an opportunity to gain hands-on experience in the field of natural resources, fish and wildlife and parks management. Information on college scholarship opportunities, and environmental sciences will be discussed. During the 5-day (or week-long) program, students will stay on the Mississippi Band of Choctaw Indians reservation and will participate in field education, recreational outdoor activities, field trips, traditional methods of education and classroom instruction. A unique aspect of the program is the use of Native American professionals who are active in their fields and Tribal elders as teachers. The Summer Youth Practicum is open to incoming 10th grade to 12th grade Native American high school students who are interested in the preservation, protection, and enhancement of tribal natural resources. Students must be in good physical condition as physical activities are a part of the practicum. Travel Days are Monday July 24 and Friday July 28, 2017. Our invasive species program puts a lot of emphasis on investigating the presence and impacts of invasive species on culturally significant and traditionally harvested resources. Since 2013, 1854 has been researching how the invasive rusty crayfish (Orconectes rusticus) is affecting aquatic vegetation, specifically manoomin. Read the newly released 2017 Technical Report on Potential Impacts of Rusty Crayfish on Wild Rice in the 1854 Ceded Territory. Can you identify a Rusty Crayfish? 1854 Treaty Authority's Niibin (summer) newsletter an features an exciting update from our wolf project, and an announcement of the public meetings we are hosting as part of our Conservation Code revision process. Don't miss the article on Lyme disease - we want everyone to be safe while out harvesting this season! Check out the new FREE camping opportunities in the Superior National Forest for Grand Portage and Bois Forte members, and meet our new staff. It's our job at 1854 to assist our band members in getting out to hunt, fish and gather. We want to make sure you have the right tools for the job. Consider joining us at our Manoomin Knocking Sticks Workshop this July, and craft your own set of flails! 1854 hosts Conservation Code Revision public meetings next week! (see the attached flyer for times and locations) Stop by, update your 1854 ID card, chat with administration, education, biology and enforcement staff about our current programs. *Please note: if you intend on swinging by our office to get an 1854 ID during the week of June 19th-22nd, you will only be able to retrieve one from 8am-noon, Monday through Thursday!!! A 2011 study by MDH showed that 10 percent of newborns tested in the North Shore region had mercury above levels of concern in their blood. Too much mercury can cause lasting problems with understanding and learning. 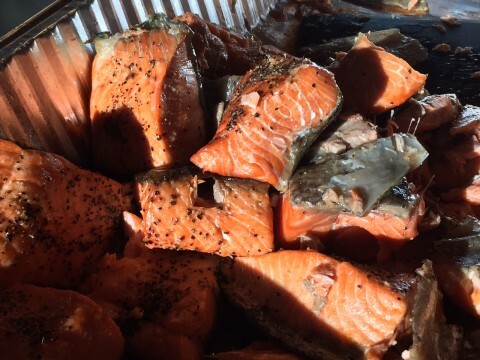 The 2011 study results spurred a collaboration in 2013 among Sawtooth Mountain Clinic, Grand Portage Health Service, North Shore Health, Trust Lands Grand Portage Band of Chippewa and the Minnesota Department of Health (MDH), resulting in the Fish are Important for Superior Health (FISH) Project. The FISH Project’s goals were to reduce mercury exposure in women in the area and pilot an in-clinic screening for high mercury exposure. Read the news release for the project. Check out the promotional video. 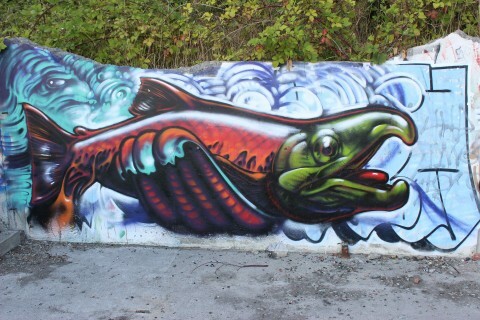 See the FISH project technical report. 1854 Treaty Authority technical report, Moose Utilization of Habitat Restoration Sites, was published last week. Take a minute to catch up on our moose management activities involving the evaluation of moose browse preference, evaluation of habitat enhancement for availability of quality moose habitat, and the prevalence of detrimental parasites in moose habitat. The 2017 Netting Clinic was a hit! On the shores of Lake Vermilion behind the Bois Forte Community Center, over 100 5th and 6th grade students from multiple schools in the area, gathered to learn something new about traditional subsistance culture. We couldn't as for better weather to host the LARGEST group of students in 6 years running! Thanks to all who coordinated, donated fish for the event, gave the blessing, set and pulled the nets, prepared food (the fish and frybread were great! ), shared info on canoeing safety, described the meaning of treaty rights, and demonstrated how to clean fish. See photos from the day on our Facebook page. The Bois Forte Department of Natural Resources is hiring an Environmental Manager and a Forestry Coordinator. Applications are due by May 19th. The Duluth-office of the 1854 Treaty Authority is closed today, Wednesday April 26th due to weather conditions. We will reopen with regular business hours tomorrow, Thursday April 27th. Be safe on the roads everyone! Non-native phragmites has caused some devastating effects to the ecosystems and properties in Michigan and Wisconsin. Minnesota is in the unique position of catching this invasive species early and having the ability to control it before it causes the same devastating effects as it has to our neighboring states. Join us Thursday April 20th at Pier B Resort from 6-8pm! Participants can learn to identify phragmites, understanding the detrimental effects of its establishment, and what is currently being done in our region to control it. 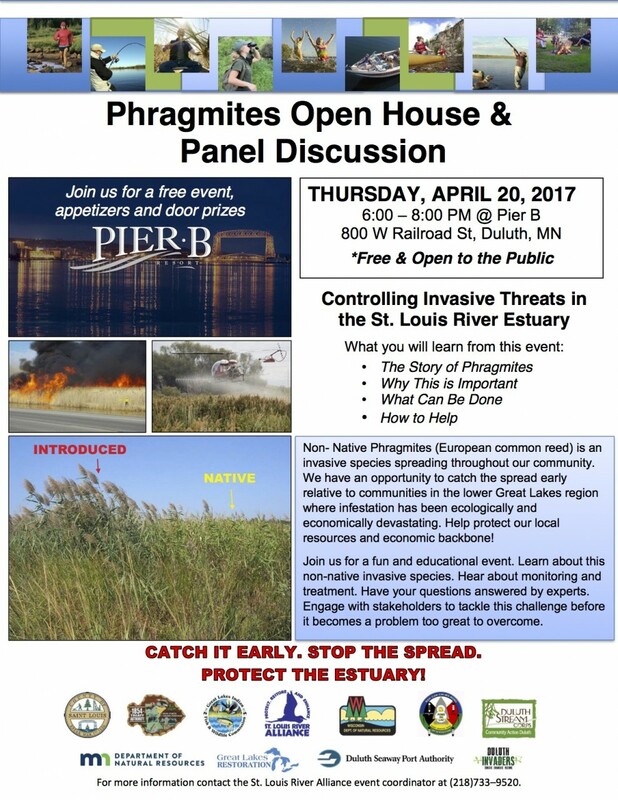 This open house will be a very low key event with posters and samples to look, at as well as an open question and answer forum with some phragmites experts...and did we mention FREE appetizers while you peruse around the event??? Please help us spread the word by forwarding the information to folks in your network. We hope to see you there!